Kaka is a rising new artist from Toronto setting a trail and making a name for himself with his infectiously catchy single releases. Following the success of his previous releases "Shake x3" and "Heroine", "Pizza" is another super catchy single from the young entertainer. The production is absolutely crazy on "Pizza" with Kaka teaming with producer Hitstar Production. Kaka was recently featured on one of the industry's top taste making radio shows, Sirius Radio / Shade 45's "Sway In The Morning", where Kaka had an interview with Sway Calloway and was later featured on the shows curated playlist on Spotify. KAKA recently graduated from Toronto's "The Remix Project". An education program in Toronto that helps to develop the cities youth artists. Past graduates of the program include DVSN and Jesse Reyes. Kaka's music has been featured on several of Toronto's urban radio stations and continues to build a reputation as "The Energy God" for his high energy releases and performances. Kaka also drops the quality visual treatment for "Pizza", with the direction coming from Paris, France based video production company Freedom Films. 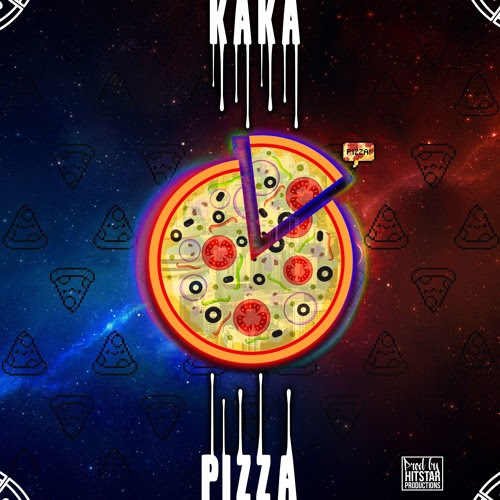 Check out Kaka's latest single "Pizza" Now! Be on the look out for new music and visuals coming soon.